Convenience store forecourts haven’t changed much in the past 50+ years…which means that they’re the ripest with possibility. Certainly, pay-at-the-pump options and TVs embedded in the pumps themselves have added ease and entertainment to the experience for customers, but there is much more that convenience store owners could do to optimize the experience for both their loyalty programs and their revenue. With technology making it easier than ever to add more facets to our promotions and programs, it’s well worth exploring exactly why the digital landscape can meet up well with this traditional, drive-up-and-pump interaction. The first reason to infuse technology into the forecourt has to do with identifying more customers. It’s estimated that convenience stores are only ever able to identify and track just 20% of its customer base. Past of the reason for this is that many gas customers pay at the pump. They drive up, pump their gas, pay, and then drive away. But digitizing the forecourt allows convenience store owners to learn much more about those pump-only (or otherwise “unknown”) customers, including things like visit cadence and average spend. This can allow them to create effective promotions—and perhaps even promotions that can drive these customers into the store. 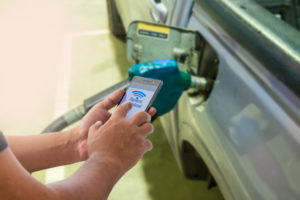 The second reason to add a digital element to the forecourt is that it allows you to keep your customers engaged with your brand, no matter how they interact with you. It’s easy to keep them engaged and offer them relevant deals whey they come into the store, but the forecourt doesn’t get that same attention and, so, misses prime opportunities for engagement. Remember, too, that even those customers who come into the store may often have visits where they only go to the forecourt. They’re not entirely unknown to you, but you’re missing multiple opportunities to interact with them and strengthen their brand loyalty. The final reason to put a focus on digitizing the forecourt is simply that it represents a huge, untapped opportunity to increase customer spend, encourage more visits, and develop brand loyalty that gets them to drive past a competitor’s convenience store just to get to yours. Clearly, the benefits of adding a digital element to the forecourt are substantial. And, when they combine with a robust, targeted loyalty program, digitizing the forecourt can also prove to be substantially lucrative. But all of this begs the question: Just how do convenience store owners do it? What elements do they add to the forecourt? And how do they connect the digitized forecourt experience with the in-store experience? We’ve created a free, on-demand webinar to answer those questions, and more. The streaming webinar, “The Future of the Forecourt” is packed with ideas for how to bring digital engagement out of the forecourt—plus how to use the data you obtain to further increase relevance, revenue, and visits. Click here to watch the free webinar and learn how to prepare now for success in the oncoming digital forecourt revolution. 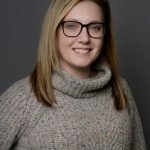 Kimberly Otocki is a content marketing specialist at Paytronix working in the convenience store space. With a passion for telling stories, she helps bolster the Paytronix brand through content creation and data analysis. Kimberly loves sharing relevant content to help businesses discover the marketing solutions they need. Get links to posts like this in your inbox by signing up below. Thank you for subscibing to our blog. Whether you’re a Paytronix customer, a restaurateur, a tech guru, a savvy loyalty marketer, or somebody who stumbled upon us by the whims of Google, we promise that you’ll find informative and beneficial content here. We’ll be using this space to initiate conversation about the things that we love: reward programs, guest engagement, big data, and the restaurant industry. Reading this blog will keep you informed about all new theories related to acquiring and retaining guests so that you can improve their LTV.